Tran Manh Tuan was born in Hanoi in to a family of stage performers. His Father, Mother, and Sister perform traditional ” Cai Luong” ( The Renovated Theater ), a theatrical art created in south Vietnam based on song and dance. Tuan began playing saxophone in 1979 and was the first Vietnamese musician to receive a scholarship from the Berklee College of Music in Boston. 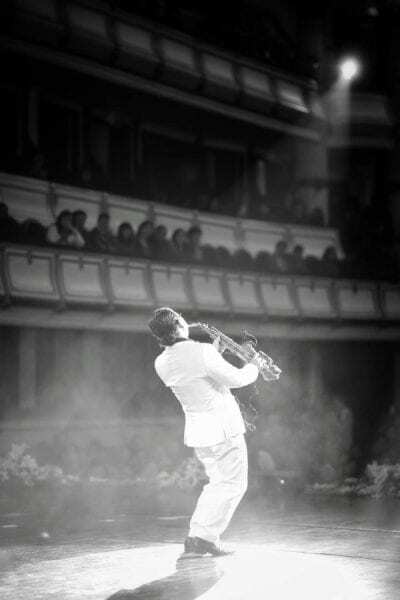 He formed Orient Band in 1991, which won the gold medal in a national music competition, earning Tuan the title of “Best Saxophonist in Vietnam” His first solo concert was 1993 at the Opera House in Hanoi. Tuan has release 13 solo CDs and taken him to Europe, Russia, China, Thailand, Singapore, and the United States. He has perform with numerous musicians, including saxophonist Hans Dulfer and Fulvio Albano, Rob Mullins, Mike Del Frerro and John Ferguson, and Stephan Echer, Co Co York, Jennifer Ryan, Mezcal Jazz Unit group, Dana Leong, Denis Mininfield. Most recently, he performed with Herbie Hancock, Wayne Shorter, Derek Nash, Lillian Boutte, Mr Koh Saxman, Billy Bang, Charlie Bisharat, and Dave Grusin & Don Grusin. In 1999 he received the “Best Teacher of the Year” award from the Army College of Music. 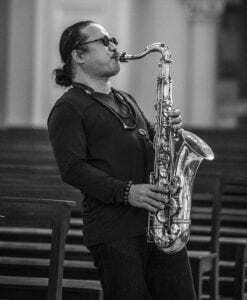 He has also taught at the Ho Chi Minh City Conservatory of Music, working as a composer, producer, arranger, and saxophonist. 2004 he opened the Saxnart Jazz Club in down town, HCMC. 2012 he established the Saigon Bigband , the first time ever Jazz Bigband in Ho Chi Minh City. While Tuan is considered a leader of the Vietnamese jazz movement, his favorite music combines traditional Vietnamse music with contemporary music. His latest albums, Jazz It Up Sến & Blue Eyes and Live DVD Butterfly Dream 2013.